Step seven: Make sure the elastic is not twisted inside the tube. Remove the safety pin and pin the elastic to the short end of the top piece, as in step four. Sew in place. Insert this gathered end inside the tube as well, to hide the raw edges. Pin.... Take one end of the fabric and one end of the elastic and overlap them slightly (maybe 1/8 – 1/4″), wrapping the edges of the fabric around the back of the elastic. Using thread to match the ribbon, sew small darts attaching the ribbon to the elastic. For the elastic covering, open up your folded fabric and lay flat with wrong side of fabric facing up. Iron down seam. Next, you will fold each each edge of fabric in creating a 1/4″ fold on each edge and iron. Gather the fabric when required so that the elastic fits perfectly within the fabric. Next, sew the ends of the elastic, followed by the fabric. You can add a small bow at the center or on the left, preferably of nylon or satin ribbon. 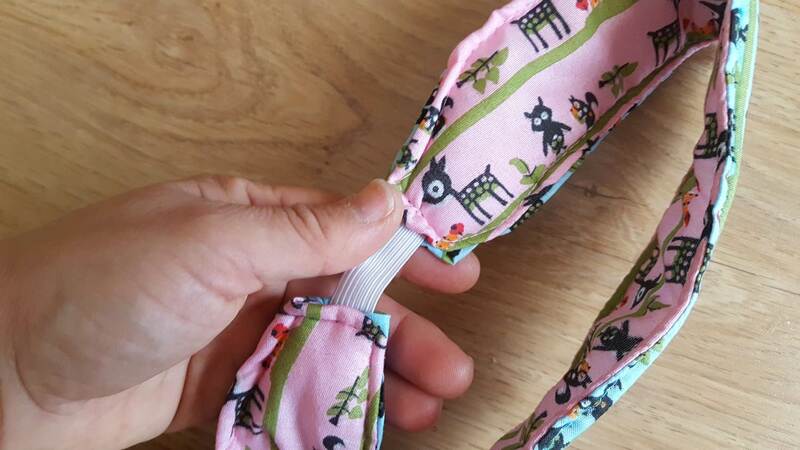 The elastic at the back gives these headbands enough stretch that you can use any fabric in any color or pattern you want for the main portion; stretchiness is not a factor! 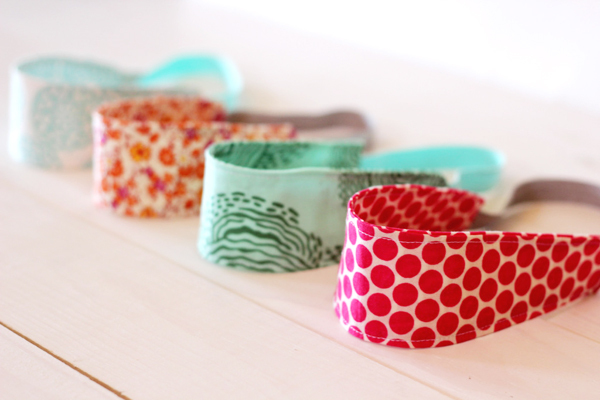 Here’s what you need: fun, pretty fabric ( any kind, don’t worry if it’s stretchy or not!